“Acts 17:1 (KJB) Now when they had passed through Amphipolis and Apollonia, they came to Thessalonica, where was a synagogue of the Jews. The Apostle Paul, Silas, and Timothy traveled to Macedonia making a stop in this city situated along the sea in a lively seaport. Details were recorded in Acts about Thessalonica. These missionary men received a warm welcome here and hearts were changed by the Gospel message. However, heated Jewish opposition in this time of the early church, which included both Jewish and Gentile believers, began building against these men and their message, especially since many members of this church failed to walk daily with God. It was especially a struggle for Jewish professing believers going from the law of God and their deeply held traditions to learning about and applying the grace of God in their life and their church. Anotherwards, their walk did not often match their talk. Many were busy looking for the newly revealed return of Christ and thereby many failed to do important works of service and honor for God in the church and in this world while they waited. If you have ever heard somebody say a person is “too heavenly good to do any good on this earth,” that phrase perfectly described these Jewish believers in Thessalonica. They were so busy looking to Heaven in anticipating Christ’s return there was little or no concern for what was going on in the world about them. Though we are to be looking for Christ, like they did, God expects His children to walk worthy as they sojourn in this world, then and today. Spiritually lost or wayward hearts walking about them were of little concern for some members of this ancient congregation, as their ministry and outreach program was almost non-existent, their hearts were lukewarm in temperature, works belief was prominent, and their day to day lives were spiritually lackluster at best. Just like winning takes a team effort in sports, much more so this true with God. 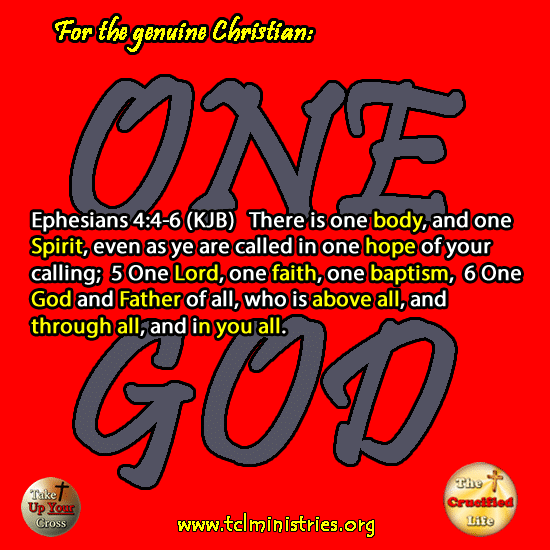 He desires devotion and unity among His children (Ephesians 4:1-6). Team effort is required in a church and each member has a mission or spiritual job. He or she is not to be significant on their own but as placed collectively among others in the practice of their God-given ministry and in giving sincere love and concern in the lives and spiritual standing of others both inside and outside the walls of the church. It is true, in churches, among relationships with other people, and in sports, over half the team members cannot be bench warmers and whiners and expect the necessary work before them to be completed. In any ministering position or situation, personal responsibility and hard work are expected and a worthy walk is always geared for bringing honor and glory to God, His church, and in loving relation to other people. 1 Thessalonians 4:16-18 (KJB) For the Lord himself shall descend from heaven with a shout, with the voice of the archangel, and with the trump of God: and the dead in Christ shall rise first: 17 Then we which are alive and remain shall be caught up together with them in the clouds, to meet the Lord in the air: and so shall we ever be with the Lord. 18 Wherefore comfort one another with these words. In fact, when speaking of the eternal promises and comfort of God, a sincere child of God often finds it difficult to keep from shouting and rejoicing. The coming of Christ, this news is so exciting! Therefore, a sincere professing child of God should be quite noticeable in this world as the joy and peace of God shines brilliantly outwardly in his or her life and naturally affecting others about them. So, these professing believers in Thessalonica, who were reluctant to shine or for those who refused to embrace the presence of Christ, were undoubtedly spiritually wayward or falsely professing a personal relationship with God but working in alignment with the god of this world and opposing things of God. This hostility and spiritual dynamics got so intense that eventually Paul and the other missionaries were forced to leave this area. The message of Truth about God had stirred up dissension in this hotbed called Thessalonica. Ultimately, the book of Thessalonians, penned by Paul as inspired of God, takes an in-depth look at the future promised for His children inside a personal relationship with God and ultimately the fate of those meeting God in a time to come who have not personal fellowship with God. Not every soul desires an impending date for meeting personally with God. A child of God, in understanding the revealed truth about his or her future with God, allows it to soothe and settle his soul with God’s perfect peace. This book speaks about the sanctification of believers and the future coming of the Lord. It gives sincere believers instruction in righteousness and gives them godly desires and direction in their walk with God as they prepare for the future. The coming of sweet perpetual fellowship in Christ for His believers is also known as the rapture of the church and the coming of the Lord. This is the time yet to come when all who have placed faith in God through the finished spiritual work of Calvary who is yet alive on this earth along with those who have physically died in Christ will be swiftly ushered before God. For a believer, this coming time means time on the bema seat before God, but not for judgment. However, every unbeliever will undoubtedly face God’s judgment upon meeting Him face to face at a time of God’s choosing, for giving an answer about the wickedly desperate spiritual state of his or her life and heart. The book of Thessalonians is a sweet and eternal comforting message for every child of God. However, the memo received by lost hearts standing in opposition to things of God is one which undoubtedly stirs fear and foreboding in wicked leaning hearts. Yes, this book the Apostle Paul penned as was inspired by God, gives a precious look into the future concerning every heart. Next, we will look into the health of God’s church as is presented in 2nd Thessalonians also penned by the Apostle Paul in the next devotion in this series Up Close and Personal with the Apostle Paul titled Pastoral Health and Vitality of God’s Church.